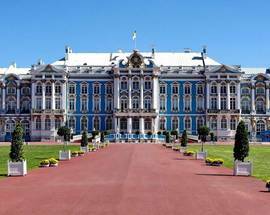 Catherine's Palace and the surrounding parks were created by Empresses Elizabeth and Catherine the Great. 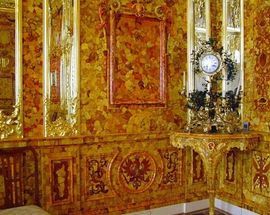 The palace, with its famous Amber Room, is an impressive post-WWII reconstruction, rebuilt with the help of the Germans. 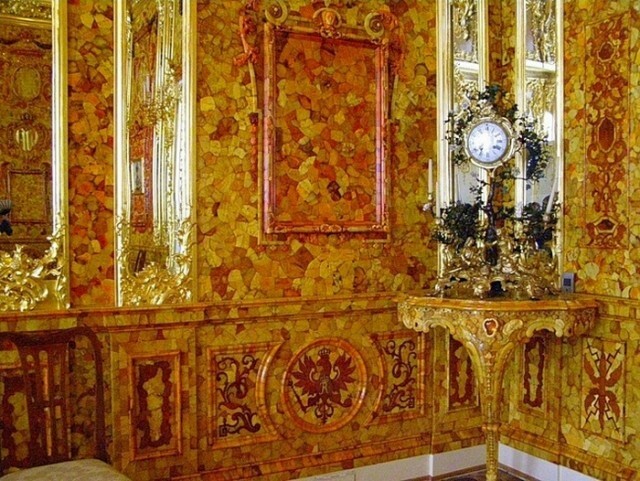 Once regarded as one of the modern “Wonder's of the World”, the newly restored Amber Room is overwhelmingly opulent and a fitting tribute to the extravagant empress who originally commissioned it. 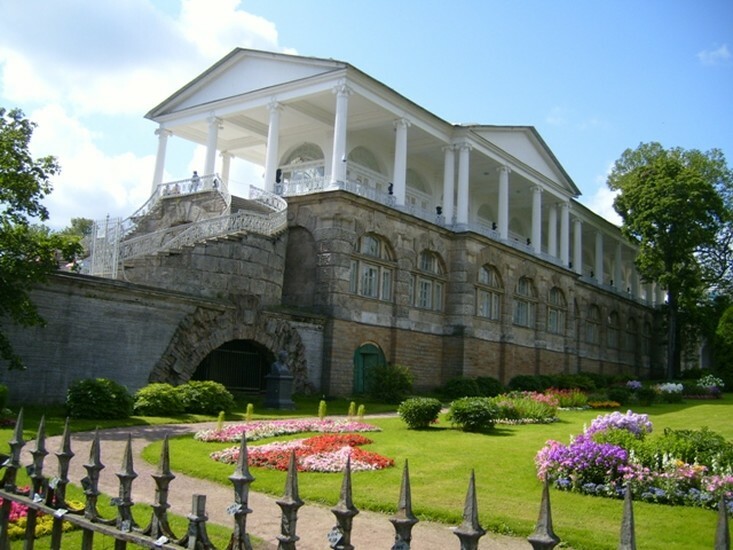 The adjoining Cameron Gallery has a magnificent view of the park and the Agate Room. The parks and gardens surrounding the palace are dotted with many unusual buildings, including a Chinese village, an unusual pyramid structure where Catherine buried her favorite pets, a small Tatar mosque and various little pavilions and summer cottages. 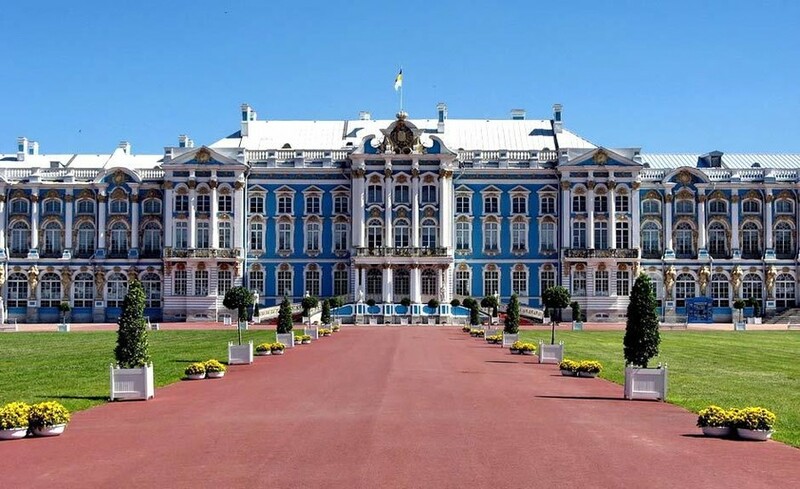 It's well worth taking a stroll around the park as well as visiting the palace itself, especially as you have to pay to enter the park (and after that the palace) anyway. Open 10:00 - 17:00. Closed Tue. Admission 350 - 1,200Rbl. 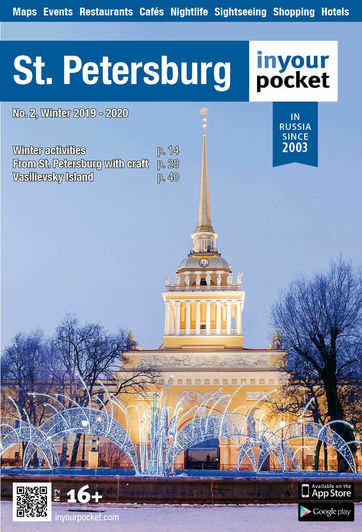 Audioguide 200Rbl.